2-4pm Triton Beer Tasting at Crown Liquors-Noblesville join Assistant Brewer Dain to enjoy some Triton Brewing Beverage samples! 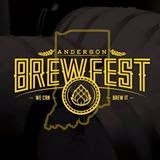 7-10pm Evansville Zoo Brew 2104 at Mesker Park Zoo & Botanic Garden – This beverage festival features local entertainment and beer and wine sampling from over 25 different vendors, including your friends at Triton Brewing! Join us and enjoy an outdoor evening of beer, spirits, and food while strolling the zoo grounds www.meskerparkzoo.com. 4:30-9:30pm Fickle Peach (117 E Charles St, Muncie, IN 47305) Pin Tapping, join us for one of our favorites, a Pin of Railsplitter Grapefruit Zest! 5pm at Triton Brewing Company we will be tapping our newest summer offering, a Golden Ale. Join us to taste our newest summertime flavor and pair it with something awesome for dinner from KG’s Slider Station! Don’t miss our newest release! 2-6pm JK’s Beoir Go Leoir (Downtown Ft. Wayne) Second annual craft beer sampling sponsored by JK O’Donnell’s Irish Pub. Must be 21 or older. VIP tickets $65/$75 day of if still available (sold out last year) and includes -Tasting glass, lanyard, t-shirt, food, early entry (1pm). General Admission $35/$45 day of if available-includes tasting glass. Tickets available at the pub or atwww.brownpapertickets.com. · We are in over 50 restaurants & bars around the state. You can check out our website for a full list of locations. · Would you like to see Thr3e Wise Men at your favorite restaurant or bar? Well then let us know so we can reach out to them. Lots of June events on the calendar, click here for more details. World Cup TrilogyAt Bank Street Brewhouse and the Pizzeria & Public House NABC honors the World Cup with three fresh, new beers honoring the three national football squads facing the USA in Group G of the opening round: Ghana, Portugal and Germany. Beginning on June 16, 2014, the beers will debut as the American squad’s opening matches are played. The Bicentennial Park Summer Concert Series takes place in downtown New Albany at Bicentennial Park, on the corner of Spring and Pearl – less than two blocks from Bank Street Brewhouse. On Friday from May 30 through August 22 (except July 4) there’ll be free musical performances from 6 p.m. – 9 p.m. Production Simple books the music, and NABC coordinates the bar. We serve the craft beer (Houndmouth, Black & Blue Grass, Naughty Girl, Community Dark and occasional surprises); River City Winery handles the wine; and Irish Exit and JR’s Pub will alternate serving mass-market beer. Garden Party at the Culbertson Mansion State Historic Site (914 E. Main Street, New Albany). In Evansville, Zoo Brew at the Mesker Park Zoo & Botanic Garden. At the Central USA Iron Games at Club Fitness 24in Kokomo, Indiana. The Bicentennial Park Summer Concert Series continues with James Wallace and The Naked Light. The Mary Anderson Center for the Arts, the artist colony at Mt. St. Francis. Once again, NABC beer will be available for purchase during Art on the Parish Green, held at St. Paul’s Episcopal Church in New Albany on Saturday and Sunday, June 14 and 15. For the 19th time, Phoenix Theatre’s Brew-Ha-Ha outdoor block party unfolds in Indianapolis within the Mass Ave Arts & Theatre District. NABC joins a couple dozen other craft breweries for what is always a packed, exciting event. Beers TBA. The Waterfront Challenge 2014 is a family-friendly 5K evening urban obstacle race held in Louisville’s Waterfront Park. NABC’s Black & Blue Grass again will be the official beer sponsor of the Waterfront Challenge. Downtown New Albany’s Bicentennial Park Summer Concert Series features Appalatin. 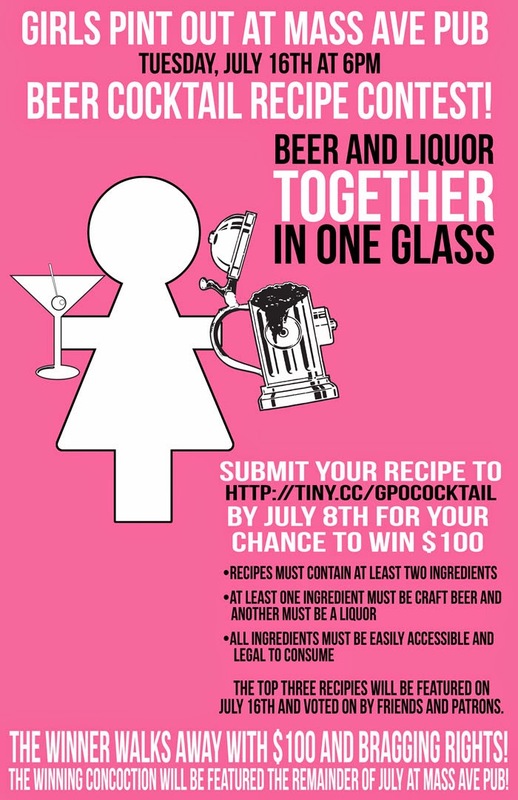 We have partnered with a fellow Indiana business, Hoosier Momma, to create a new summer beer cocktail. Summer Michelada, aka “Cuke Momma,” combines Flat 12 Bierwerks’ summer seasonal, Cucumber Kölsch with Hoosier Momma’s original Bloody Mary Mixer. Give it a try. It’s simple. Get the full recipe here. Rather us make it for you? No problem. This Sunday, June 8th from noon – 6pm we will be serving preview pours all day. For just $6, you can purchase a pint of the Cuke Momma and be the first to try the new beer cocktail. Can’t make it to the taproom this weekend? Samples of the Cuke Momma will be available at this year’s Indianapolis Zoo Zoobilation the following week. 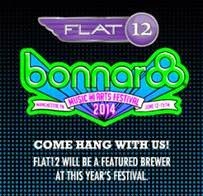 Bonnaroo is just a week away! We are ready to Roo! If you’re heading to Manchester, Tennessee and plan to hang out in the middle of a giant field during the second weekend of June, then come find us because we’ll be there too as a featured brewery. This year we are proud to join 4 other nationally-recognized brewers in this lead sponsor role: Sierra Nevada, Sweetwater, Lagunitas and Vermont Hard Cider. So, be sure to take a break from the hot sun and come join us for a brew or two. More details here. See you there Roo’ers! June 7th, 2014 at 3:00pm - 7th annual UpCup homebrewing competition will be hosted at the Upland production facility at 4060 Profile Pkwy in Bloomington on June 7th, 2014 at 3:00 pm. BJCP judges, professional brewers, and other brewing industry professionals will judge all entries, and the winner will receive the UpCup trophy and all the benefits that come with it. 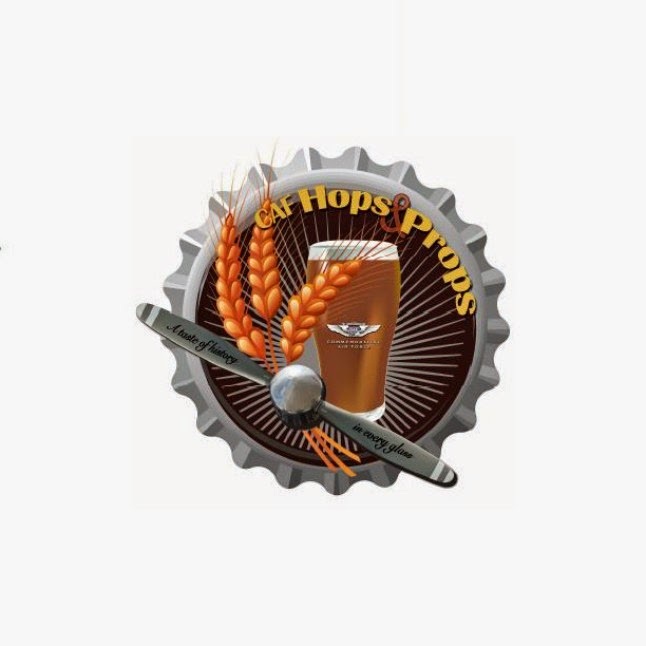 The winning recipe will be brewed by Upland brewers, featured on tap at all Upland locations, and entered in the 2014 Pro-Am competition at the Great American Beer Festival in Denver, Colorado. Awards are given to second and third place as well. Two exciting arrivals to the warehouse this week! The much anticipated collaboration between Jolly Pumpkin Brewery andAnchorage Brewing Company "Calabaza Boreal", this is the version brewed in Dexter at Jolly Pumpkin, we are told the Alask a version should be ready sometime later this year. Also making an explosive return is Prairie Artisan Ales BOMB!, an imperial stout aged on espresso beans, chocolate, vanilla beans, and ancho chile peppers. If you have had this beer before you know how awesome it is, if you haven't we recommend snagging a bottle if you see it as this beer usually goes really fast! Every Friday is now "new brew" Friday, with the release of a new in-house beer every week. Tapping will start at 6pm each Friday. Keep checking back for an updated schedule. Introducing $3 Mug Club Pints every Thursday. Another way to thank our awesome Mug Clubbers - you'll get your super-neato 22-ounce custom-made Mug Club mugs filled for just $3 every Thursday. Cheers! See our current beer line-up here. Sunday, June 1st from 2:00-5:00 - Local author, Aaron Galvin, will be signing is novel, "Salted"
Some great new beers on tap at Papa's: Bell's Oberon, 3 Floyd's Blackheart English IPA, Lakefront Extended Play Session IPA, Brooklyn Summer Ale, Stone Sprocketbier Black Rye Kolsch, Oskar Blues Dale's Pale Ale, Boulevard Grainstorm Black IPA, and Unibroue Raftman. We also have some exciting beers on deck waiting to be tapped: Greenbush Sotto Voce, Stone Collaborative Distortion DIPA, 3 Floyd's Arctic Panzer Wolf, Oskar Blue's Mama's Little Yella Pils, Upland Campside. Join the Commemorative Air Force at Indy Metro Airport, 9917 Willow View Road for craft beer, food and fun! All proceeds go to help support the Commemorative Air Force Indiana Wing and it's Mission. 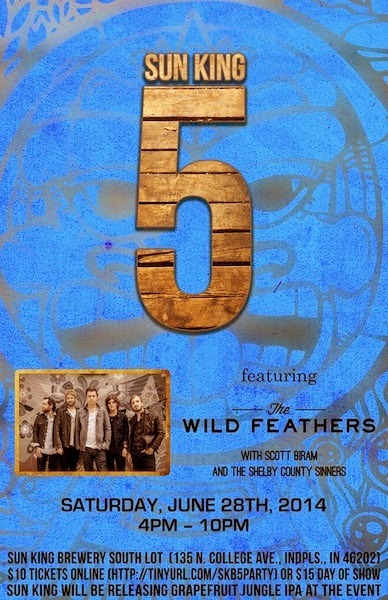 Purchase tickets here. Surrounded by historic military aircraft, including a P-51 Mustang, Bearcat, T-6 Texan, BT-13 Valiant, PT-17 Stearman, PT-26 Cornell and F-86 Sabre. This Saturday, June 7, the American Homebrewers Association is throwing a Rally at Upland Brewing Co. in Bloomington to celebrate the joys of homebrewing and connect beer enthusiasts in the area. The Rally will feature a VIP tour of the brewery, great prizes, complimentary food and beer samples, and the popular annual UpCup Homebrew Competition, in which the winner’s recipe will be brewed by Upland brewers and featured on tap at all Upland locations; additional competition details are below. Plus, all Rally attendees will take home a special gift from the AHA. More details here. The 2nd Annual Fishers On Tap Summer Beer Tasting event, celebrating Indiana Craft Breweries, June 14, 2014. Please join us for our one of a kind event in Hamilton County to be held at Fishers Nickel Plate Amphitheater. 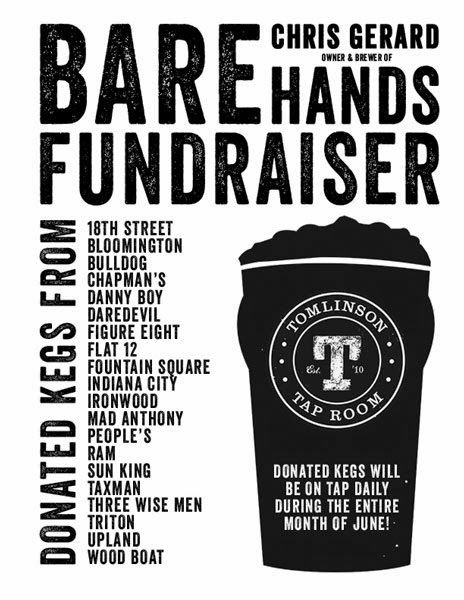 Come celebrate our local Indiana craft beer entrepreneurs while helping our club continue to make a difference in our community. General Admission pouring starts at 5:00pm to 8:00pm. VIP from 4:00 p.m. to 5:00 p.m. Golf outing and auction on June 23rd at Knollwood Country Club. Click here for more details.